With rising tick populations and warm weather conditions, the Pittsburgh region has seen an increase in the number of tick-related illnesses within the past several years, and this summer has been no exception. Ticks can carry a number of diseases, with Lyme Disease accounting for more than 60% of all cases. To lower your risk of contracting a tick-borne illness, keep these tips in mind when spending time outdoors, especially in wooded areas. Wear long-sleeved shirts and pants that cover the majority of your skin to prevent ticks from attaching themselves to you. If you’ll be hiking in the woods, tuck the bottoms of your pants into your socks or boots, and tuck your shirt into your pants. 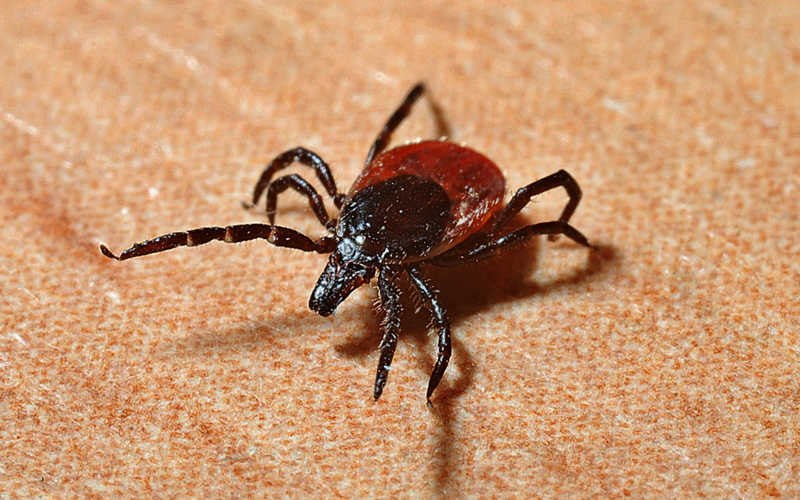 That way, ticks are unable to crawl up your pants or shirts and attach to your skin. Vinegar is a strong natural tick repellent. Look for bug sprays that are specifically formulated for tick prevention. If you want to avoid using a chemical insect repellent, there are a number of natural remedies on the market that contain essential oils like lemon, eucalyptus, and lavender. As soon as you come indoors, scan your entire body for ticks, including your scalp and the nape of your neck. Ticks often crawl up the legs of humans and animals and attach themselves in crevices like under your arms, behind your knees, and at your waistline. You can also put your clothes in the drier for 30 minutes to kill any ticks that might be hiding in them. If left untreated, Lyme Disease can have long-lasting health effects, so it’s important to seek medical attention as soon as you notice the first signs of this common tick-borne illness.